On 8 November 2013, a super typhoon called Haiyan (also known as Yolanda) hit the Philippines with record breaking wind speed, causing widespread destruction and killing many. Our thoughts and prayers are with all the people of the Philippines. We hold on to the promise that God is with us, even in the bitter suffering of natural disasters. If you would like to donate to the relief efforts in the Philippines, you can do so securely by clicking on the button below. Once the immediate needs are dealt with, any additional funds will be used for the rehabilitation of the affected areas by Emmanuel International in the Philippines. Watch this video for an update of what Emmanuel International has been doing in partnership with EI Canada, EI Philippines and other roleplayers. Note: The video is 15:44 mins long. Please watch until the end. 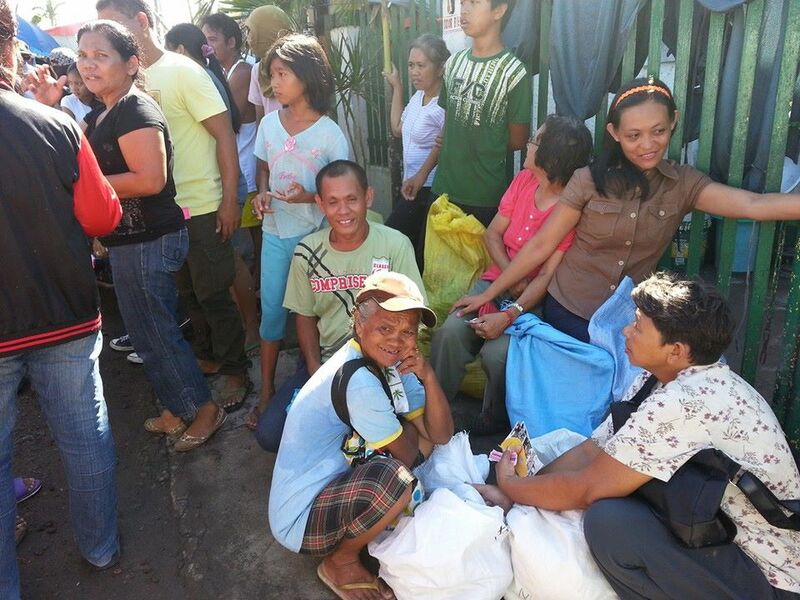 The last minutes show the helpers behind the scene… ERRP is Emmanuel International in the Philippines. Each deep well is about £1250.00 ($2000). It relieves people from water shortage for drinking, bathing, washing and other household water usage. Instead of using expensive bottled water which would also put more pressure on our environment, these wells will serve affected communities even beyond the emergency situation for many years to come. Each well is also looked after by a church who will make sure that the wells continue to serve communities. 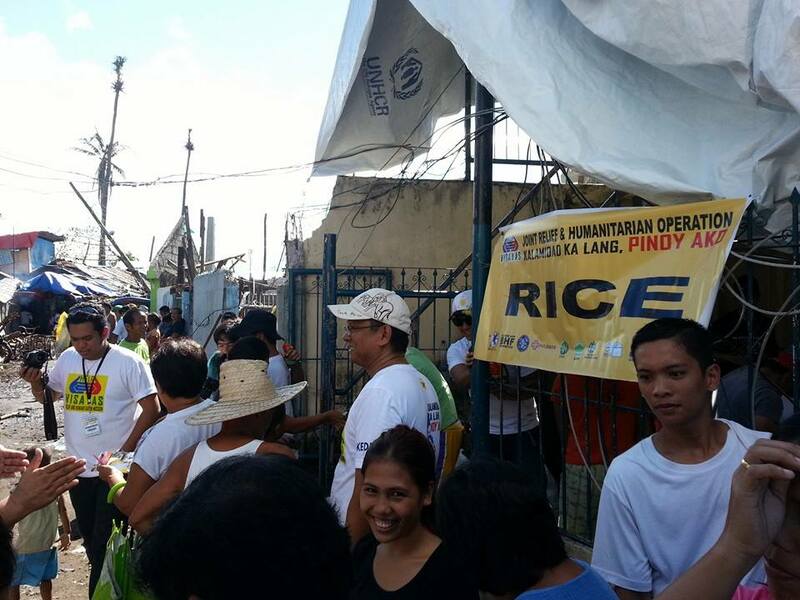 Another 1500 hot meals for the people of Barangay Caibaan, Tacloban City, reported by Noel Taban. Emmanuel International and Philippine Council of Evangelical Churches partnered to distribute 300 shelter repair kits in Ormoc, Leyte including transportation allowance for each recipient as well as something special for Christmas dinner. 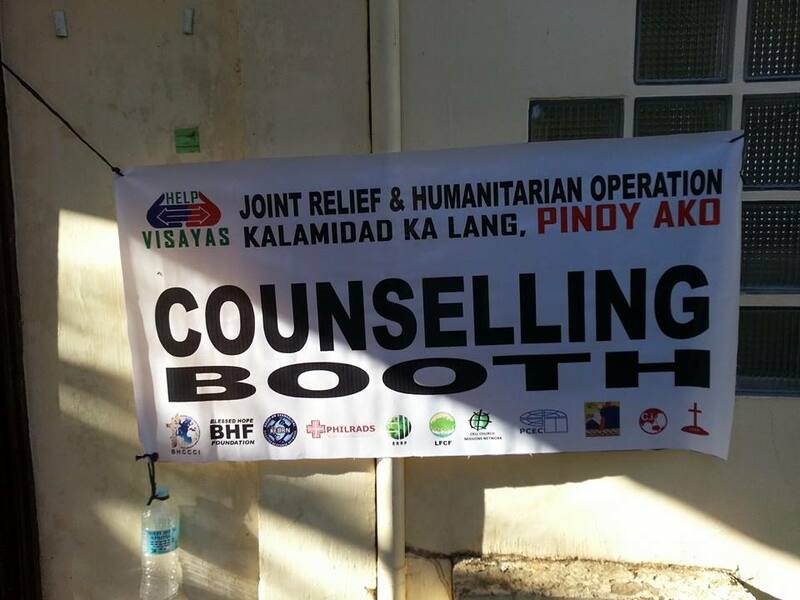 We need many more of these kits to help countless people whose homes were destroyed by the typhoon. 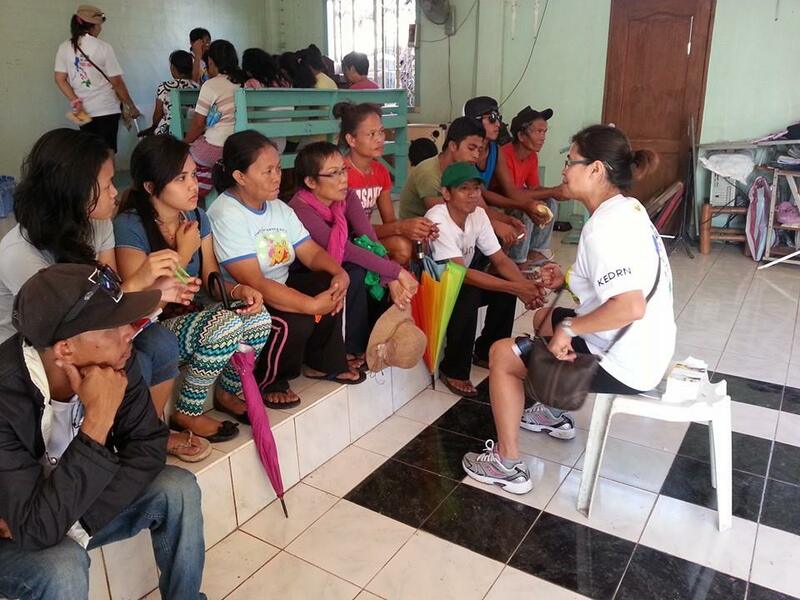 The Team that took relief goods to Ormoc and Tacloban consisted of 45 people. Some from Hong Kong, Virginia Beach, USA, Stouffville and Mississauga, Ontario, Manila and Cagayan de Oro working with local churches in Ormoc and Tacloban to reach to thousands with relief goods, hot meals and spiritual nourishments. They are on their way back to Cagayan de Oro now. But the work is not done. We are going to stay for at least a couple of years and continue to help churches help their communities to alleviate poverty and suffering for now and for eternity. Pastor Noel Taban with a sign translated “Stand Up Tacloban!”, is going to stay to help rebuild houses, churches, dig wells and provide people with help to get back on their feet with livelihood programs. We believe that wells will help churches provide clean water for the communities thereby eliminating the need for much more expensive bottled water. They will also be serving the communities for a long long time and therefore a much more cost effective investment for critically needed source of water especially in times of calamities. Helping churches with their roofs will allow the churches to make their buildings a refuge for the coming months and years where traditional evacuation centres are still unavailable having been destroyed and will remain unavailable for years to come. The church buildings will also be the place where communities could meet for coordination and spiritual counselling. Helping people get back to their homes, instead of living in tents, will allow them to get back to some normalcy in their lives. In this way, we can look at how they may go about them getting their old livelihood back to whatever they used to do before the typhoon. This is a long term commitment. They need it and we need your help to do it! Thank you for continuing to partner with us. We are sending 10 volunteer doctors from Manila to Tacloban to meet with our convoy and attend to the medical needs of the victims of Typhoon Haiyan. Our leading physician is Dr. Sen Basoc, a board member of Emmanuel Relief and Rehabilitation International. She was given medical supplies awarded to ERRP from the Philippine Council of Evangelical Churches, one of our partner agencies in the convoy to Tacloban. 10,000 meals for 3000 people over 3 days in Ormoc City and 3 days in Tacloban City. Offer grief and disaster counseling to those who need it. After this relief effort is complete a team of volunteer construction workers will then help repair 500 homes over a 4 day period. A group of 11 volunteer doctors from Manila carrying medical supplies will help in both cities until they have run out of supplies. We have identified 13 Churches in the surrounding communities where we are digging a shallow well and providing a roof for the church. This will help over 400 families with fresh, clean water for drinking and preparing food. 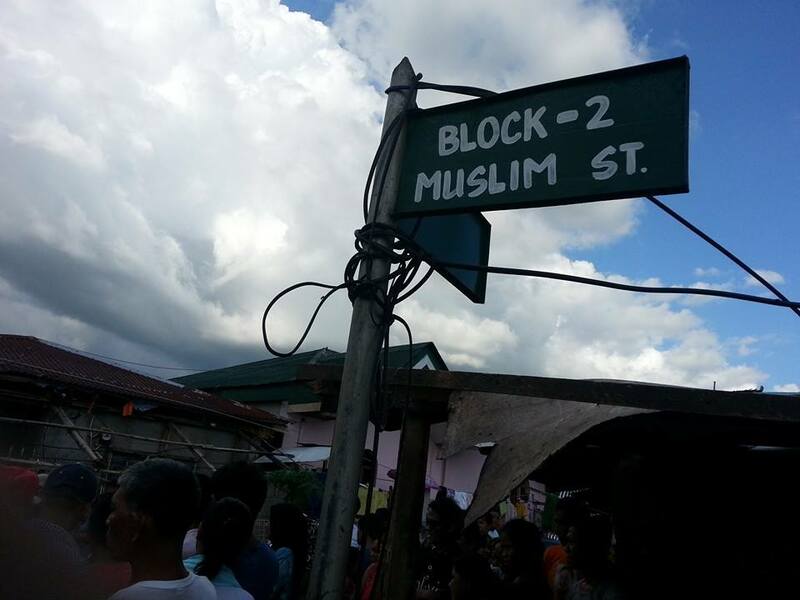 This also gives each community a place to be safe and dry. Emmanuel Relief and Rehabilitation in the Philippines (ERRP) has dispatched two teams to look at different areas to see what can be done to help and assist those most in need and neglected. We are awaiting a full update and will post this as soon as we receive information. All our EI staff are safe and away from the damaged area.